Astronomers have discovered a “feeble giant”: one of the largest dwarf galaxies ever seen near the Milky Way. Ever since astronomers discovered our universe’s accelerating expansion, tension has rippled between theory and observations, especially in studies of our galaxy’s neighborhood. The standard model of cosmology, which suggests that dark energy and “cold” dark matter govern the universe’s evolution, predicts many more small galaxies near the Milky Way than what we’ve observed so far. Dwarfs should be the building blocks of larger galaxies like our own, so the lack has puzzled astronomers — are they not there, or are we just not seeing them? Observations have closed in on theory in recent years with the advent of large surveys such as the Sloan Digital Sky Survey and the Dark Energy Survey, where observers have begun to identify hard-to-find dwarf galaxies. Dozens of dwarfs have been spotted over the last 15 years. But theory suggests perhaps even hundreds more have yet to be discovered. Now, the list of known dwarfs has just added one of its largest members: Crater 2 [no image available]. You’d think large dwarfs would be easy to find, but this one’s stars are spread out and easily entangled with the stars of the Milky Way. It took a sensitive survey to pick out the small galaxy hidden behind the galaxy’s stars. Gabriel Torrealba (University of Cambridge, UK) led a team that discovered the Crater 2 dwarf galaxy in survey data collected at the Very Large Telescope in Chile. The team used specialized software to spot over-crowding among stars, searching for dim stellar clumps. But identifying a clump isn’t enough. Only Crater 2 contained red giant stars and horizontal branch stars — both old, evolved stars that mark an ancient stellar population separate from the youthful Milky Way disk. Torrealba and colleagues estimate that Crater 2 lies 391,000 light-years from Earth. That makes it one of the most distant dwarf galaxies known. It’s also one of the largest: at 6,500 light-years across, it comes in fourth among our galaxy’s neighbors, after the Large and Small Magellanic Clouds, and the torn-apart Sagittarius dwarf galaxy. Moreover, it’s incredibly diffuse, its stars spread out over several square degrees. So despite its size, Crater 2 is much fainter than those Milky Way companions, nearly 100 times fainter than Sagittarius and almost 10,000 times fainter than the LMC. The discovery of Crater 2 may help unlock an ongoing puzzle in the Milky Way’s evolution. As astronomers began to discover dwarf galaxies en masse in large sky surveys, it soon became clear that some dwarfs cluster in their orbits. Crater 2 is no exception: the team estimated that the dwarf’s orbit lines up with those of the Crater globular cluster, as well as the Leo IV, Leo V and Leo II dwarf galaxies. While not a definitive association, similar orbits suggest that these objects might form a group that fell together into our galaxy’s gravitational well. Astronomers have recently found similar groups near the Large Magellanic Cloud, suggesting that our galaxy’s halo might have formed through many such group captures. As sky surveys continue to enable discoveries of dwarf galaxies such as Crater 2, the gap between theory and observations continues to narrow, clarifying our understanding of the Milky Way’s evolution. The future is bright for the study of these dim galaxies, thanks to surveys such as the Large Synoptic Sky Survey (LSST) on the horizon. LSST will push to even fainter magnitudes and may finally resolve the discrepancy between theory and observation. G. Torrealba et al. The feeble giant. Discovery of a large and diffuse Milky Way dwarf galaxy in the constellation of Crater. 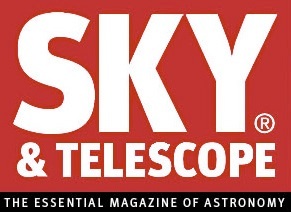 Accepted for publication in Monthly Notices of the Royal Astronomical Society.